What are the HOSDB & CAST Body Armor Standards? The Home Office Scientific Development Branch (HOSDB), better known as the Center for Applied Science & Technology (CAST), is made up of a group of very talented engineers and researchers who are dedicated to fighting crime through technological innovation. HOSDB maintains close contact with all industries that benefit from body armor, including law enforcement. Working in conjunction with number of universities and academies HOSDB has developed the various test standards set for stab and bulletproof vests that have protected England’s police force since 1993. 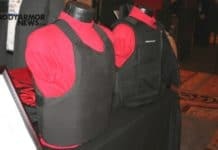 Like the standards set by the National Institute of Justice (NIJ), these body armor standards spell out the test methods as well as the minimum requirements for stab and bulletproof vests. The focus continues to be on protecting the torso from spikes, knives and bullets. 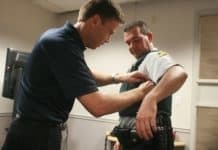 The Home Office has been establishing test standards for stab and bulletproof vests since 1993, and a lot has changed in the last 26 years. Research, along with experience has led to the development of greatly improved body armor protection against the most serious and latest in advanced threats. The 2017 standards feature the minimum testing requirements for stab and bulletproof vests that the police in England depend on to protect them. The Home Office established these requirements after consulting those who use body armor, various police associations, national police, testing laboratories, body armor manufacturers and other industry experts. Overall, the 2017 Home Office Body Armor Standard has been designed to protect end-users from the latest and most serious of advanced threats. ISO811: 1981 stipulates that all stab and bulletproof inserts must be waterproof. To achieve this they need to be fully sealed within a 100% waterproof covering to prevent the stab and ballistic proof materials from being exposed to liquids of any kind or even the slightest bit of moisture. Manufacturers must test for this and prove to HOSDB that their body armor inserts are 100% waterproof. This must be checked regularly. The 2017 Body Armor Standard spells out the various levels of bulletproof protection to reflect today’s requirements for the protection of British police. This test must be performed periodically to make sure that the body armor continues to provide protection throughout its lifespan. Body armor that comes with a 5-year guarantee must provide the same level of protection in year 4 as it does in year 1. 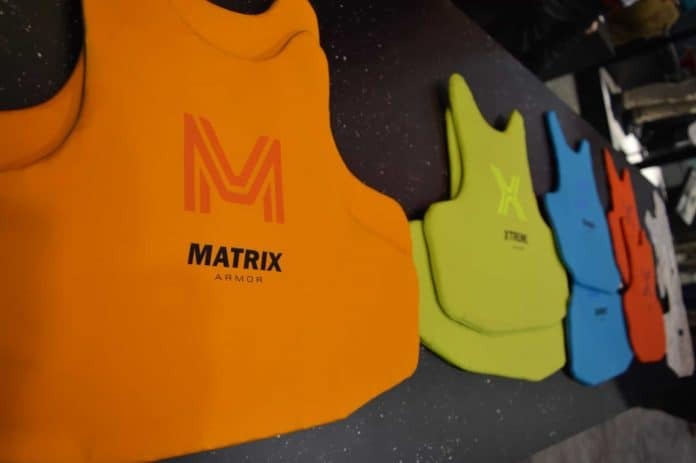 To ensure that manufacturers produce the highest quality possible when it comes to soft body armor they must now comply with a variety of new requirements. This requirement enhances the previous certified body armor quality control process. This is now required for molded bulletproof vests or any vest made for women. Formed armor testing must be performed on body armor designed to protect the curved (not flat) areas of the female body. A rifle test is now required to be performed on both male and female body armor torsos to provide a more accurate assessment of the level of protection against rifle fire. The 2017 Home Office Body Armor Standard has set categories for the various types of stab and bulletproof inserts now being offered. For example, nearly all the bulletproof vest made for men have a flat insert, whereas the vests made for women have a formed insert to accommodate the chest. These must be tested differently since body armor is designed for different body shapes. Men typically flat bulletproof vests. These are usually stab and bulletproof vests with inserts that are totally flat. Vests designed for women must be tested differently because they are curved or formed to fit the female body, as discussed in the following paragraph. Shaped stab and bulletproof vests are not flat, but formed to follow the shape of the female body. For example, stab proof polycarbonate vests and bulletproof vests designed for women are deliberately shaped to fit the female form. Ballistic hard armor plates must be stand-alone tested or with the exact type of bulletproof vest it will be used with. Ballistic plates that will be used with a flat (unformed) bulletproof vest must be tested with that type of vest. And, a hard armor plate that will be used with a shaped (formed) bulletproof vest for women must be tested with this type of vest. The additional requirements that must be adhered to for Flat Testing and Formed Armor Testing results in more protection for end-users since the testing protocol aligns with the individual who will wear the body armor. In the past the testing was much broader since it was the same for both genders. Now manufacturers are required to test body armor separately based on gender. In the test for a flat (unformed) bulletproof vest, the part measured for the depth of the blunt trauma caused by the impact of the bullet is the backing material on a flat clay background. When testing is done on bulletproof vests for women, it must be done on a torso shaped like the female body. Shaped (formed) bulletproof vests specifically molded for women must be tested on shaped armor as the backing material. This is referred to as “Formed Armor Testing.” This type of testing provides a more realistic result of what would actually occur with the impact of a knife stab or bullet. This ensures that manufacturers do not test bulletproof vests designed for men and then make them for women without further testing. Body armor made for women needs to be tested separately all on its own, whereas in the past it was sufficient for manufacturers to conduct just one test. The Home Office, whose primary focus was knife attacks, established the very first body armor standards. The HOSDB extended the 1993 standards to incorporate bulletproof vests for the first time. The HOSDB standard of 1993 underwent significant changes, adopting many of the test methods in use today, in which a spike and knife are dropped from a specific height using various levels of energy. Ballistic testing underwent major changes as well. HOSDB first introduced the “HG1/A” level of bulletproof protection, along with a larger BFS to protect against small arms fire. The standards set forth featured dramatic changes from all previous standards, including those set forth in 2003. The HOSDB increased the velocity on both HG3 and RF2. For the very first time Manufacturer Quality Testing was added to provide further protection to those wearing stab and bulletproof vests. Additional stab proof and ballistic inserts were now required to be tested for compliance. The HOSDB standards superseded all previous standards, focusing more on the needs of those actually wearing stab and bulletproof vests. The shot must be fired so that it hits with an angle of 90 degrees unless other is specified. If the shots comply with the following, they will be categorized as a “Fair Strike”, and referred to as a correct shot according to the Home Office Body Armor Standard 2017. *7.62×39 mm round details can be found in appendix D.
**Any Ballistic armour plate tested to HO4 also needs to meet the requirements for HO3 level. The following levels of protection below are special threats that you can choose to test against, as it is different for the UK police what type of ammunition they use. Previous articleHow does body armor work?